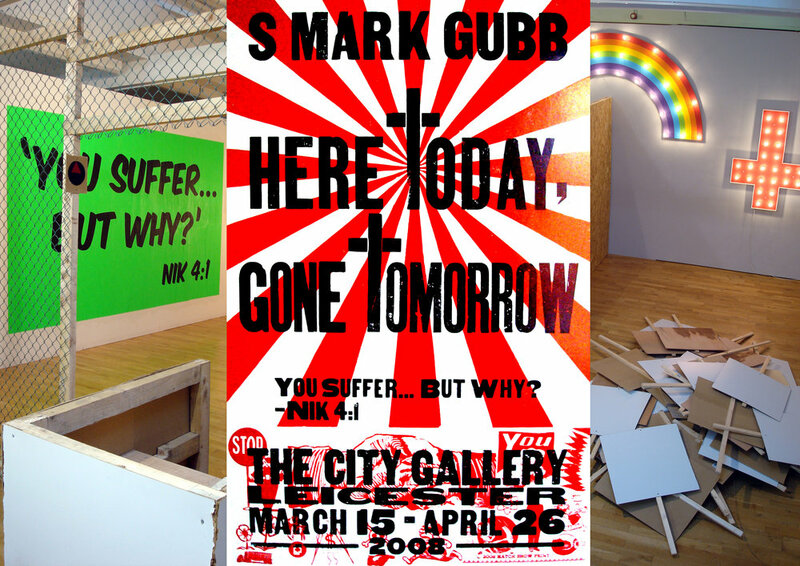 A solo show at The City Gallery, Leicester (2008) drawing on themes such as political/social/moral structures, religion’s role within these, political apathy, the human desire for change and each person's (in)ability to achieve this. The gallery was divided in two by a roughly fabricated wall of wooden boards. These spaces were fenced off and visitors to the gallery were only allowed access to one side or the other, based on the arbitrary discrimination of their height; if the visitor was over 5’ 7” they were allowed in the left hand space, if they were under that height they were allowed in the right hand space. If they were exactly 5’ 7” they were allowed in both. This was enforced by a guard employed through placing an advert in the local job centre.